Manufacturer of a wide range of products which include mamac make sensors (usa) hvac return air sensors. 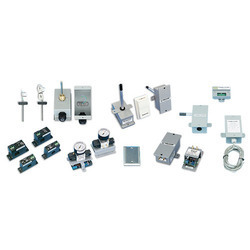 We are engaged in manufacturing, exporting, trading, distributing, importing and supplying our clients an enormous assortment of Mamac Make Sensors (USA) HVAC Return Air Sensors. Widely used to measure the supply and return air temperature, the provided sensor is precisely designed using high quality material and latest technology under the direction of our talented professionals. Our sensor is given in numerous specifications as per the needs of customers. Looking for MAMAC Sensor ?